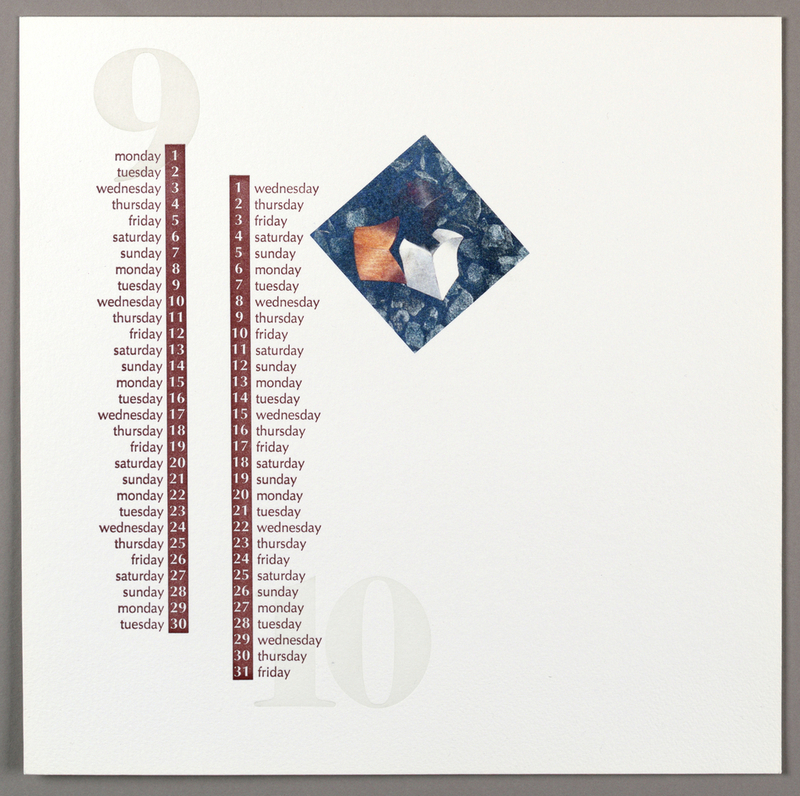 This is a calendar. It was designed by Roni Gross. We acquired it in 1997. It is a part of the Drawings, Prints, and Graphic Design department. This object was donated by Roni Gross. It is credited Gift of Roni Gross.